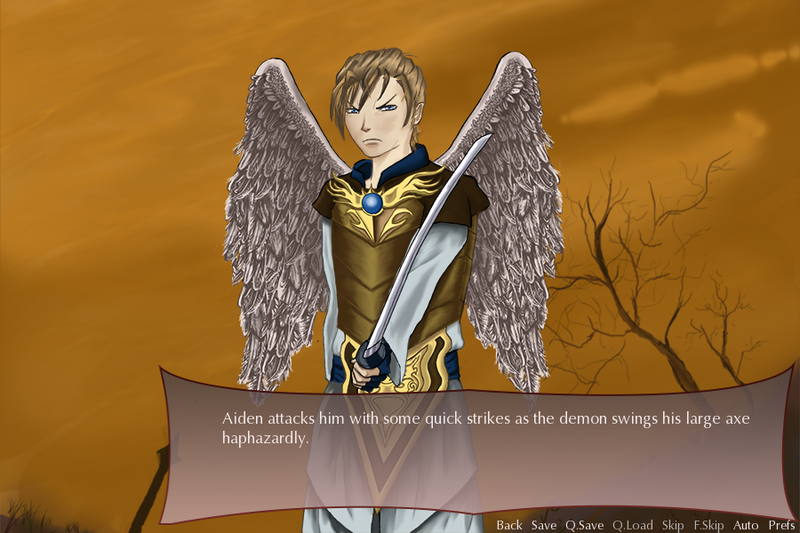 The story takes place in a fictional world of Demons and Angels. The two sides have been warring off and on for centuries. 50 years of uneasy peace has come to an abrupt halt after diplomatic talks end with an Act of War committed by the Angels. 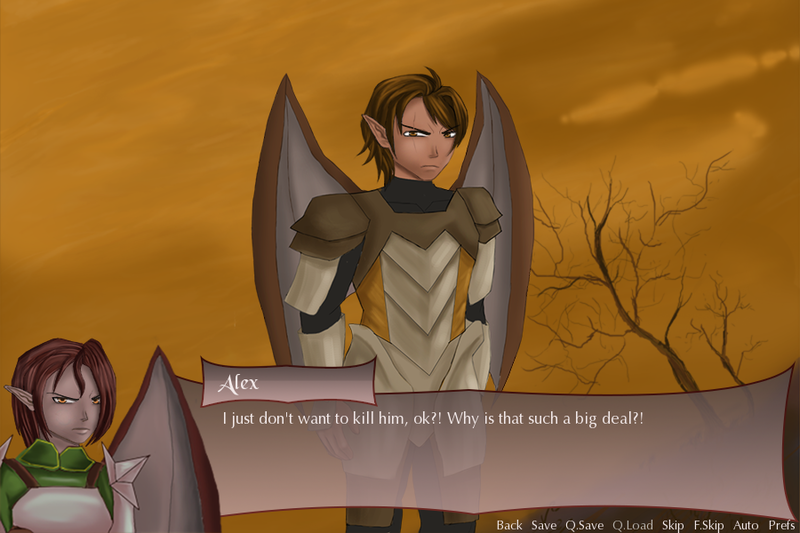 You'll play as Alexandria, the daughter of the Demons' Head Elder. While she is struggling to find her path in life and fighting with her father seemingly every step of the way, she runs into Aiden on the battlefield, the son of the Duke of the Angels' most populous city. Remembering him from a brief meeting as a child, Alex feels a connection to him that she can't really explain. 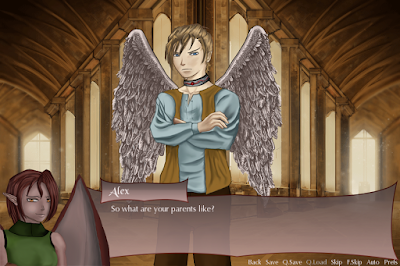 After Aiden is taken prisoner by the Demons, Alex makes a drastic decision to save Aiden from her father's torture. She strikes a deal that would make him her personal servant. Unsurprisingly, he does not take this well. 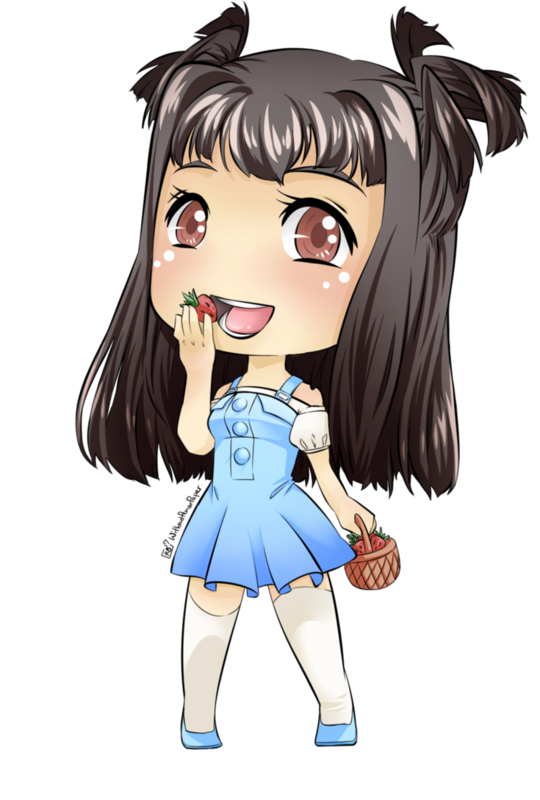 As time passes, she'll encounter problems that will change her worldview and shape her destiny, all while growing closer to an enemy that she's supposed to despise. Cutie kid. Though, I guess you can see why the art didn't impress me very much when I first saw it. Hmm, I really liked this game, for a variety of reasons. I guess Alex couldn't decide whether to admit that she knows Aiden or pretend that she doesn't. Also, in the beginning part, there were some cases where the namebox said "Angel" while in some, it said, "Aiden". It kept switching from Angel to Aiden, too. I'm not sure if you're supposed to know Aiden or not, Miss Protagonist, but you better make up your mind, for clarity's sake. As for the art, well... the style is actually not my type, but there's something I like about it that I just can't put my finger on. Hahaha. For the most part, I think it still looks a little bit unpolished, for a commercial game, but then, there are times that I think it's really lovely. Oh, wow, I've succeeded in confusing myself. Hahaha. I do like the music, though! I think the choice of soundtracks adds greatly to the atmosphere of the scenes. In the beginning, I didn't think I would like the music, but there were a couple of tracks that stood out to me. However, there were some times when the music just suddenly stopped, and... I don't know, to me, it didn't feel like those were the right times for them to stop, if you get what I mean. Some scenes were also in complete silence, though I blame this on the fact that this is just the demo and not the whole game itself. 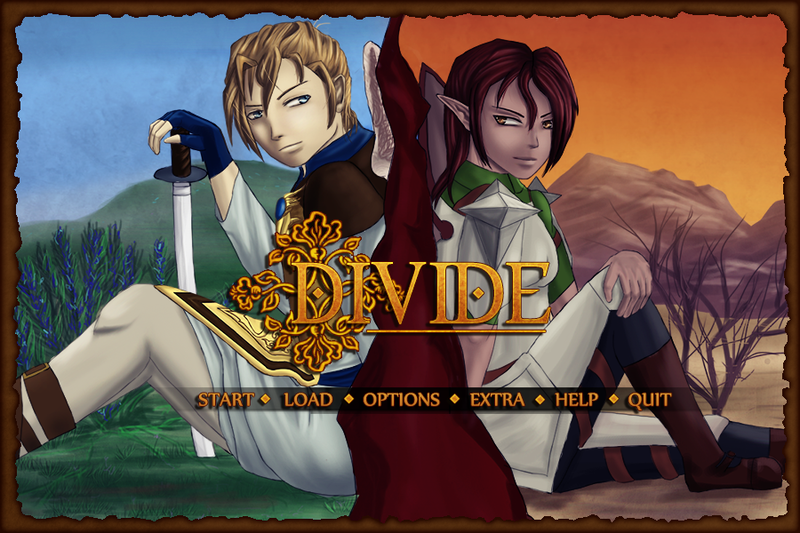 Story-wise, (and gripes aside) I absolutely love Divide! I think I have a soft spot for stories like this. You know, the kind of stories where two people hate each other's guts, not knowing that they had some special connection meanwhile they were kids? Something like that. I'm totally a sucker for the melodrama. At first, it was pretty hard for me to continue reading, though, since I kept feeling so sorry for Aiden. Actually, feeling sorry is a huge understatement. 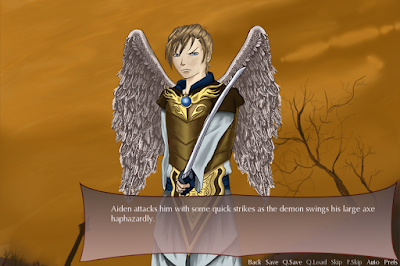 In the story, Demons torture Angels they catch, and... well, Aiden is an Angel, remember? Oh, goodness, it was horrible. Be warned, guys, but that scene will really break your heart. It definitely broke mine. 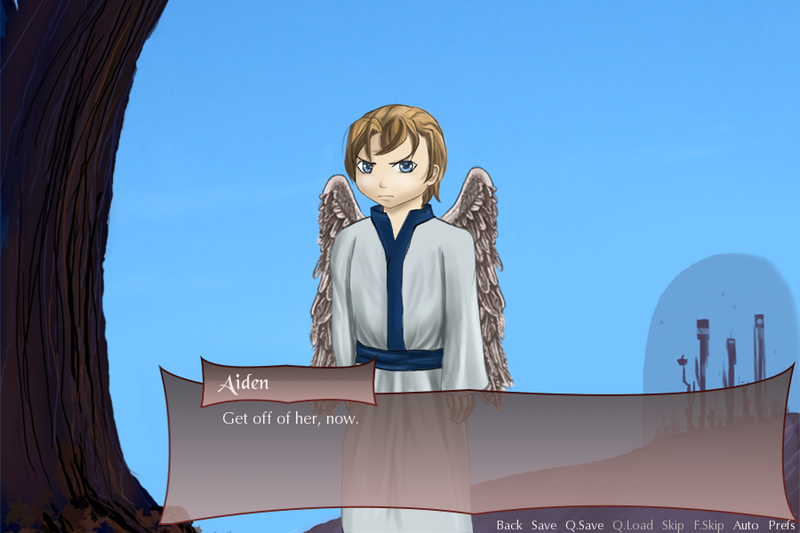 I really, really, really wanted to open up the goshdarn codes and change the script already so that Aiden would feel better in the story. That's how much it hurt me. Darn it. The sweet scenes were definitely sweet, though, without being too sweet! Yes, there's such a thing as being too sweet. I usually cringe during those scenes, hahaha (though I am guilty of going overboard with writing sweet scenes sometimes). But in this play, nah, all the sweet scenes were sweet in a very nice way. It's a good thing they didn't go overboard! 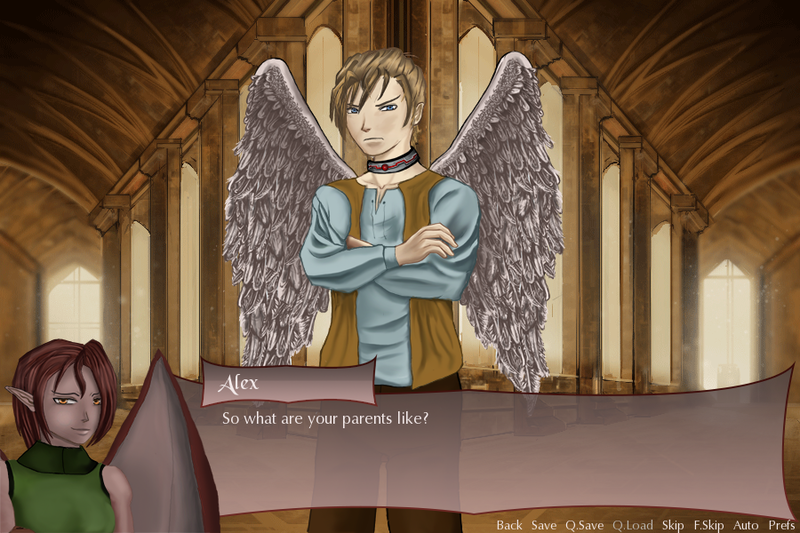 Hm, I don't know if you guys are going to like this, but Aiden's actually the only obtainable in this whole game. Yep. I was a little bit concerned at first, but I fell in love with Aiden instantly, so it's really no big deal. It's a little bit embarrassing to admit, but I really have a thing for guys like Aiden. Uuuuugh. Anyway, the whole demo is actually pretty long-ish, at least for a demo, that is. I like how everything is written so far and I am definitely anxious to play the whole game. 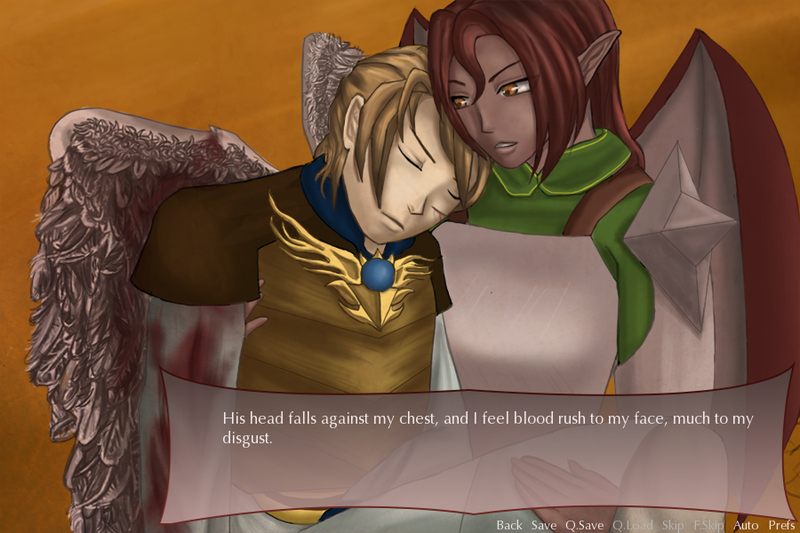 The demo ends in a super lkjhgfdsa frustrating cliff-hanger, so... argh, I really, really hope this gets released soon! 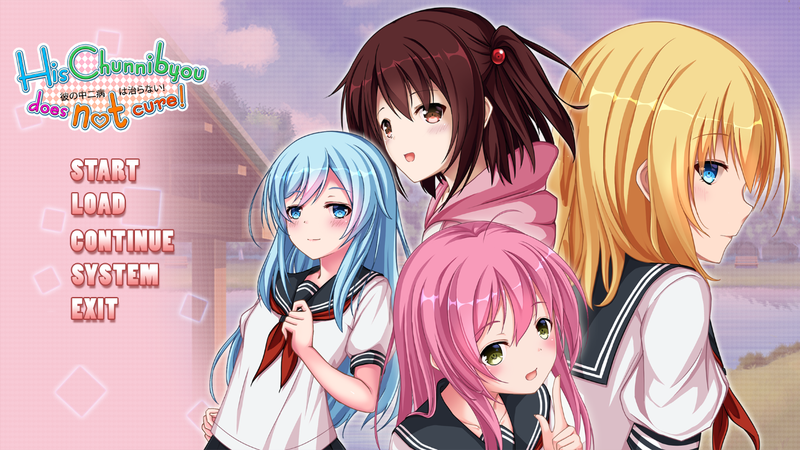 For those who want to support this game, here's their Kickstarter page! They're actually already funded, haha, but yeah, it wouldn't hurt to link to their KS page. Oh, and the download links for Windows, Linux, and Mac here.